Since this recipe calls for readymade ingredients and a bit of chopping and assembling (but no cooking), you can create an elegant appetizer in no time. In a mixing bowl, combine the crabmeat, shaved fennel, olive oil, lemon juice, and mint. Season with salt to taste. Refrigerate, covered, until ready to serve. 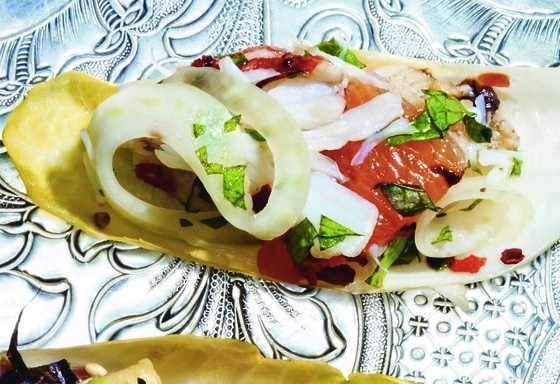 Divide the crab salad among 24 endive leaves, top each with half of a grapefruit segment and a sprinkle of snipped chives and Marash or Aleppo pepper, and serve.